I'm finding that making your own furniture, decorations, wall art, etc. is can be waaay cheaper than paying someone else to do it. And it's much more satisfying. Being that the season at the lake is winding down and the weather is turning colder, I have a few larger projects that might have to be finished outside done as soon as possible. The majority of them involve pallets. 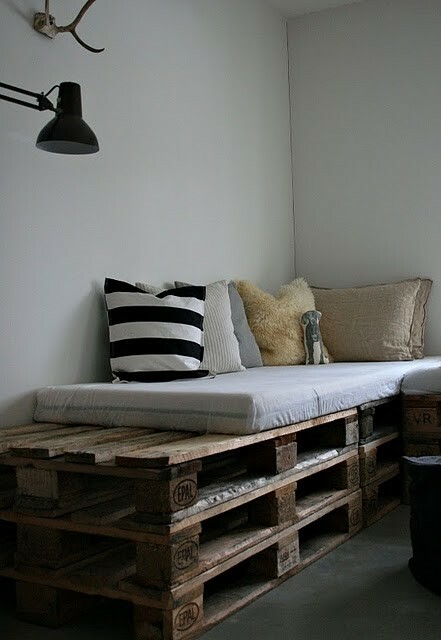 This is a more obvious use of pallets. We don't really have room for anything like this now, but I still love it. 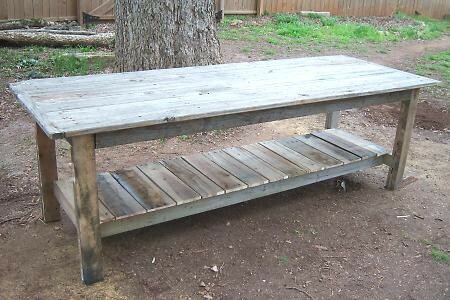 This could be altered to make a coffee or dining room table. And it supposedly only cost $2. Can't beat it! Love this island in the kitchen. 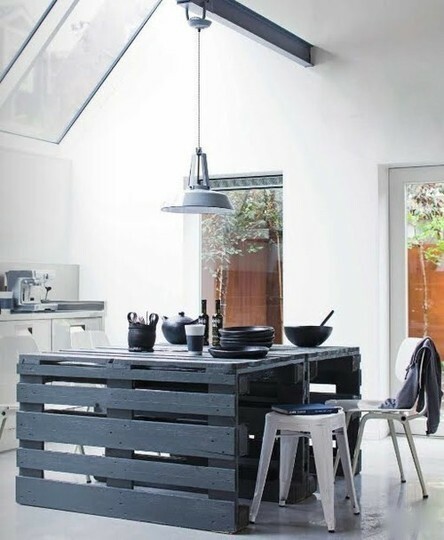 Perfect height and more than enough room to utilize as a table as well, not just an additional counter top. Could be painted to match any room. 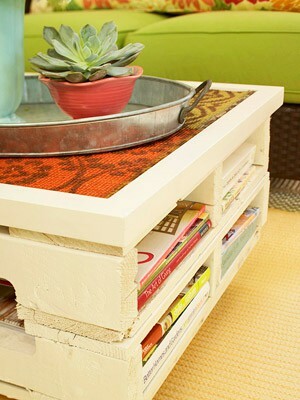 Great idea for a more organized coffee table. What a neat table top too! Endless possibilities! And my most favorit-ist piece of all! 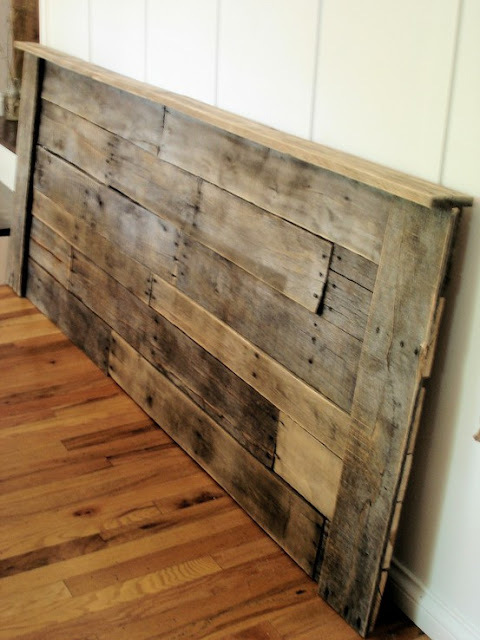 I've looked at hundreds of headboards and none of them made my heart skip a beat like this one. So easy, but so simply beautiful.